If you’re considering buying a yacht in charter, I assume you like sailing, or at least boats. The question is: How much do you like sailing? Is it something you really enjoy – and want to do more? If your answer is YES, great! Owning a charter yacht could definitely be something for you. Keep on reading. If you answered NO, maybe you should continue chartering. Although, keep on reading. This post might ignite the spark! Buying a yacht in charter – or making an investment in general – is a long process. It requires days, months or even years of researching the variety of options on the market as well as your own preferences. We have compiled a list of things to consider before buying a charter yacht. It’s in no means exhaustive, but it’ll cover the essentials and get you started! (How) Can you afford the yacht? Which type of yacht to choose? Where to place your boat? Is sailing part of your lifestyle? Or do you wish it was? First things first. When you are thinking of buying a yacht in charter – or any yacht for that matter – ask yourself, if sailing and owning a boat will improve the quality of your life. Will it fit your lifestyle? This is an important question, since investing in a yacht is not the same as buying a car, for example. It’s a lifestyle investment. If I can promise you one thing, there will be ups and downs. However, owning a charter yacht gives you a unique opportunity to see amazing places in the world and enjoy sailing with your family and friends. The maintenance will be done for you and the charter income will also help you pay the boat. Basically, if you enjoy exploring the world and sailing in beautiful locations, and having the chance to say you own a yacht somewhere in Caribbean or in the Pacific gives you that extra kick – buy a yacht in charter. In case you didn’t know, buying a yacht is a major financial investment. Hence, be prepared for the costs. The down payment is usually 20 percent of the purchase price, and there are other initial costs as well as various running costs along the way. Then again, after 5-6 years at the end of the program, you’ll own the yacht, partly paid for by charter income. The main reason to buy a boat in charter is to cover the expenses of your sailing vacations. Instead of paying a significant amount of money for chartering someone else’s yacht, you now get to sail for free in owner’s time. The financial value is great, and you get to enjoy sailing in beautiful waters. Moreover, depending on the yacht and charter program you choose, the return on investment can be more than just covering expenses. Compared to traditional ownership, owning a yacht in a charter fleet will reduce the cost and minimise your financial exposure. As mentioned before, you also get to sail in places you probably wouldn’t go to otherwise – at a much lower cost. You get to enjoy sailing as the owner of a yacht, without the headache of a traditional boat owner. When choosing between the different charter programs, key aspects to consider are your risk tolerance and your possible need for tax benefits. This determines if a guaranteed monthly income with less risk, involvement and liability suits you better than a variable income program with higher revenue and more personal involvement. Also, be mindful that the mortgage should not exceed 12 years. Some salespeople might suggest 20-year mortgages, where the cash flow looks better. In truth, you’ll be in serious trouble at the end of the contract. In conclusion, owning a charter yacht is essentially financing the cost of your boating vacations, and often paying the mortgage of the boat. It’s not necessarily about making money, but with most programs, you’ll be able to sail in your chosen location or multiple ones without losing money. Now you know you really love sailing and that you can afford to own a yacht. Next, you need to figure out what you want from the boat. Do you want it to pay for itself and then keep it when the charter program ends? Perhaps you plan to trade it in to continue the management relationship? If you plan to own the boat afterwards, earning profit might not be as important to you. Besides, you’ll get to sail with it another four to six years. You’ll be a happy boat owner! If you are planning to purchase a new one, be aware that selling a used boat won’t be as easy as it might seem. One model sells better than the other, and the market can be saturated with the same yachts being sold at the same time. One cost-effective option is to move your yacht to a second-tier fleet, if it hasn’t been sold before the contract ends. 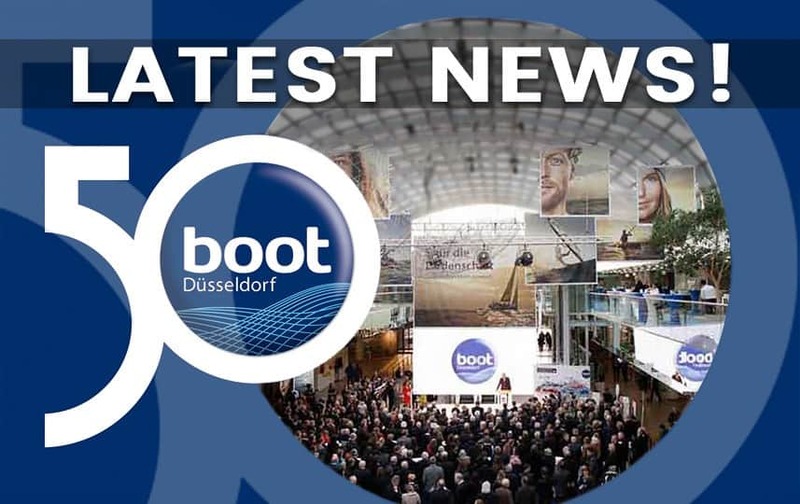 Which charter management company to trust your boat with? As if this wasn’t hard enough already, there is a myriad of charter management companies out there in different sizes. Large companies, such as Dream Yacht Charter, Moorings and Sunsail have the advantage of big fleets and many bases worldwide. Moreover, these companies are financially solid, offer guaranteed income and have standardised procedures when it comes to maintenance and phase-out. The downside? Standardised. If you have a specific model in mind or want customised features on the yacht, you can forget about them (although there might be a few exceptions). Your owner’s time is also limited. Last but not least, with a lot of other investors and charter guests, the customer service tends to be less personal. What about medium and small charter companies? Generally, they have smaller fleets, operate from one base, provide excellent customer service and have a close relationship with the boat owners. Additionally, there’s more flexibility on choice of boats and equipment. The best part – unlimited owner’s use. However, make sure to check the financial status of the company. The smaller charter companies might not offer guaranteed income programs, so don’t take the financial projections for granted. Double-check the contract, including the maintenance and phase-out procedures. Lastly, remember that smaller companies operate from one base. In short, if you want to sail a lot, be involved in the management of your yacht and become part of a family – choose a small charter operator. If you’re after a completely hassle-free yacht charter ownership with a guaranteed income – a bigger charter company might be a better option for you. Choose a company you trust, provides a contract that fits your goals and allows you to sail as much as you’d like. 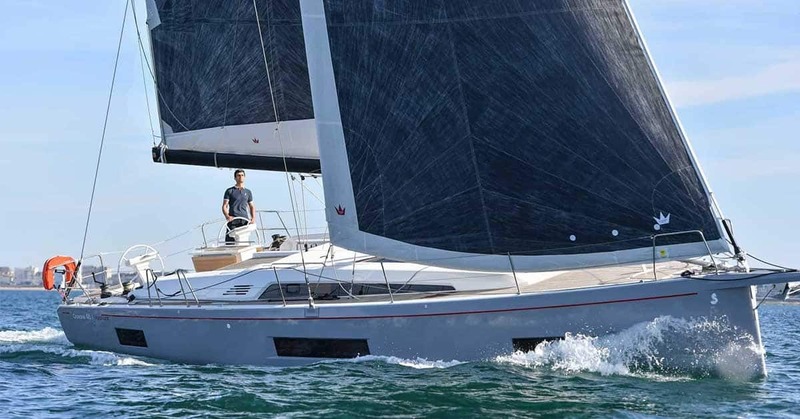 Monohull or catamaran – that is the question. When deciding on the type of yacht, there is more to it than the number of hulls. Apart from the obvious question of budget, you should start by asking yourself who is going to sail. Do you need a boat that is easy to manoeuvre for your partner or friends? Are you a sailor at heart who enjoys the challenge and adventure? Who are you going to sail with – your partner or the whole family? Next question: Where are you planning to sail your boat? Shallow waters might create some challenges for a long keel, while bridges make it hard, or impossible, to have a tall mast. In addition, you might need more advanced safety or communication equipment in certain areas. This brings us to equipment and layout. When choosing the type of yacht, your preferences are the key. If you wish to use the boat after the charter period, maybe customisable layout could be something for you. You might want some special equipment or configurations on your boat, such as a certain number of cabins or a private locker. There are plenty of options out there, so you might even find a perfect option that fits your needs “off the shelf”! Very important to remember: you are buying a charter yacht. Some models, sizes and configurations get more charter bookings than others. Catamarans, which are easier to manoeuvre and perfect for cruising and sunbathing, remain popular among charter guests worldwide. Having said that, monohulls attract sailing enthusiasts and adventure seekers, and therefore might suit some guests and locations better. Whether you have your eyes on a particular yacht or have no clue where to start, look up the closest boat show and go explore! There’s no better way to help deciding than having a closer look and feel of the yachts. You can walk around and ask the experts all the questions you have! You’ll most likely meet other boat owners as well, so use the opportunity to ask about their experiences. CTA: Get advice on yacht ownership, join personal viewings of yachts and find out about special opportunities with Yacht-Match. Join us at selected events! Where should you place your boat? Choosing a location is mostly up to your preferences. If you love Greece, why not place your boat there? If you have always dreamed of having a boat in the Caribbean, maybe now is the time? No one’s stopping you. Although, there are a few things to think about regarding the location. As mentioned earlier, your chosen location will affect the type of yacht you should get – or the other way around. For example, some destinations require (or allow) more open sailing but might have limited or challenging anchoring options. Other places could be more accessible, but the water might be too shallow. Speaking of accessible, choose a base that is easy and affordable to get to from your home. There’s no point having a boat, if you don’t get to it in the first place! Furthermore, it’s important to remember the same yacht might not be as popular in one place as it is in the other. This will affect the charter income you’ll receive. Make sure to research which boats make bookings in that specific base, and what kind of contract suits best to guarantee your income. Now you might be wondering what happened to sailing around the world? Don’t worry, you can still do it! With large companies, you have the possibility to use your owner’s time and sail sister ships at other bases worldwide. 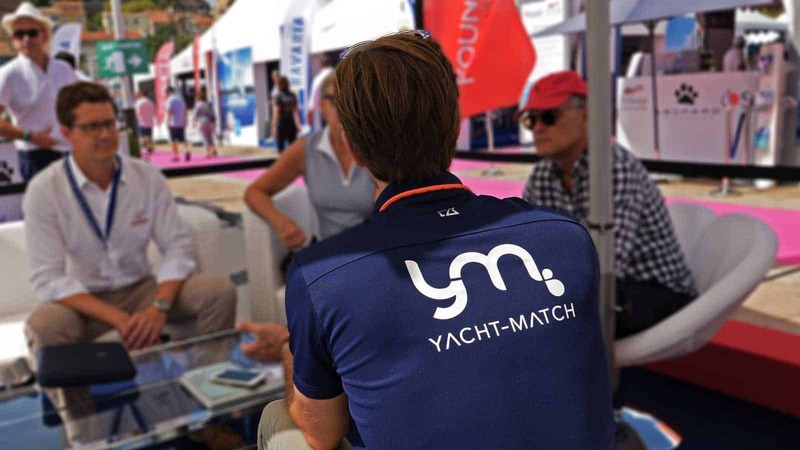 Yacht-Match provides the same opportunity with smaller, hand-picked charter operators in our network. The best of both worlds! We’ve now gone through some key factors you should take into account before buying a yacht in charter. The list is long, but ultimately, it comes down to your wishes. Nearly anything is possible, so know what you want before diving into anything. And, make sure to do your homework. Or don’t, and let us do the work for you!